Home » Health » San Pedro Smile Center Dental Clinic volunteers brighten children’s smiles! Dental volunteers and doctors provided free dental services to all children from Monday, February 18th to Thursday, February 28th at the San Pedro Smile Dental Clinic, located at the Holy Cross Anglican School (HCAS) in the San Mateo Area of San Pedro Town. This year’s volunteers and doctors included Dr. Richard Kim, Dr. Allan Libuano, Dr. George Lin, and Dr. Paul Roggow, Dr Mark Conover from Mankato State University in Mankato, Minnesota, USA and Eleanor Carrera, Dr Richard, Dr. Judy Treharne from Integrity Dental in Cottage Grove Minnesota and Dr. Mark Johnson and Joan Johnson. The services offered by the volunteers included dental cleaning, sealants to prevent cavities, fillings, fluoride varnish and oral hygiene instruction to the students. The teams also encouraged the children to brush their teeth at least twice for the day. 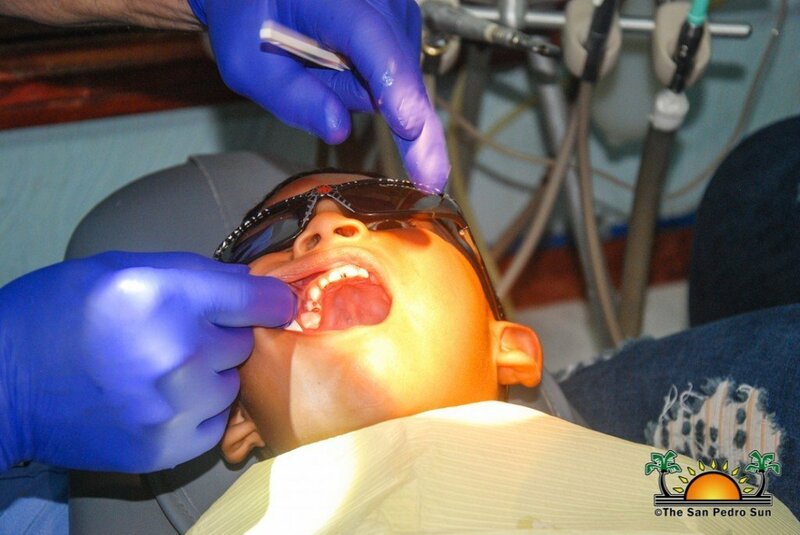 A student of HCAS told The San Pedro Sun that thanks to the volunteers, he now has healthier, stronger teeth. “Every time the doctors come, I always get checked-up to have strong and healthy teeth. They also teach me how to brush my teeth properly,” he said. 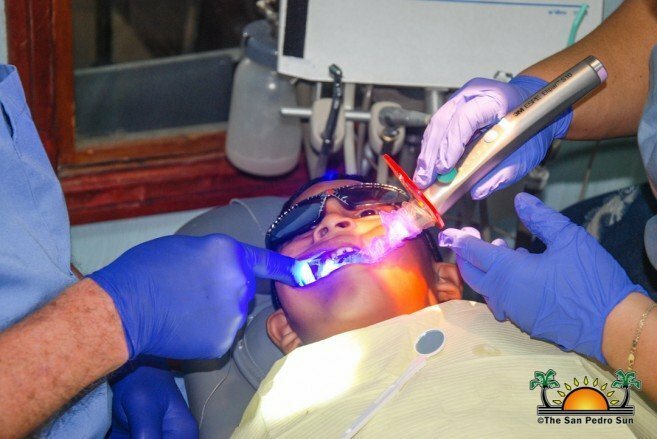 For the last 13 years, the HCAS Smile Dental Clinic has been hosting volunteers that provide free dental services to island children and other members of the community. The clinic also educates children on the importance of good dental care, with the hope that they can pass on that same mentality to residents of their community and even their own children in the future. The HCAS Smile Center was founded by Dr. Mark Johnson from Annandale, Minnesota. 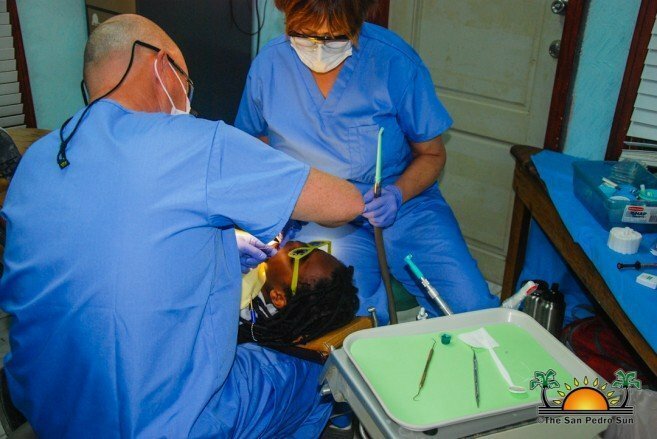 Over the years, Dr. Johnson and his wife Joan, a dental hygienist, have been organizing and coordinating efforts to have the fully-equipped dental clinics up and running so that volunteer dentists could come to San Mateo Area to provide effective and efficient services to the students. 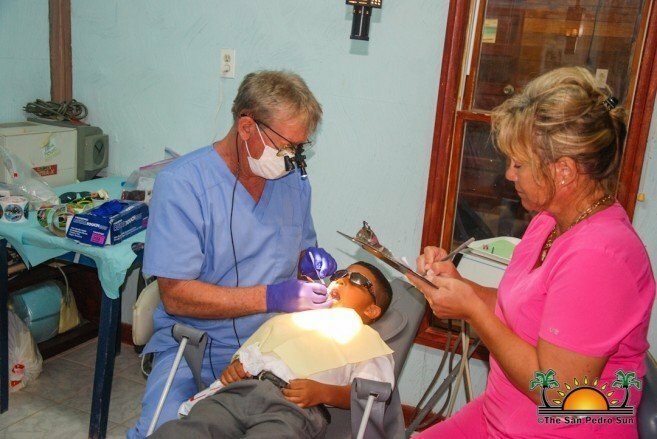 The clinic has been fully equipped with modern dental equipment and supplies, all generously donated by health care professionals who care about the dental health of students at Holy Cross and all the children on the island.